Ok so I was looking at the recent New York Fashion week photos. And mostly what went through my mind was the following: “why?” “Wait, what is this?” “Who in the world wears this?” “This is not flattering” “Why are all these men dictating what women should wear?” and “but I love my skinny jeans!”. Then I was greeted with the completely stunning designs of Kate Spade. Look how pretty the combinations are. I need to recreate all of these outfits. 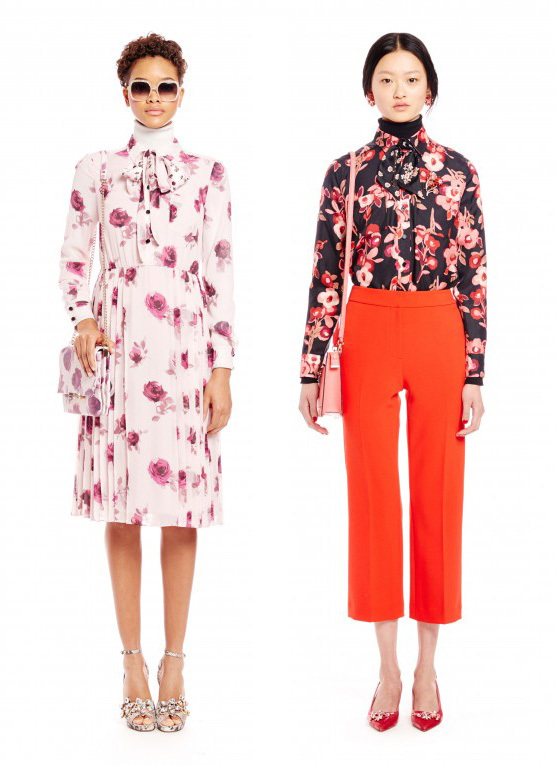 also, I know that this is the Fall collection but I think a lot of it can apply to Spring and it made me really excited to basically wear floral everything and I began looking for some fun wardrobe updates that I feel like I can actually start wearing now since it is May and getting sunnier! We know Spring officially started like a month and a half ago, but let’s face it, in most of the country you can’t really start relying on nice weather till its almost officially Summer! Although, full disclosure, I wore a bright floral shirt like 3 months ago because I wanted to wear Spring in February. 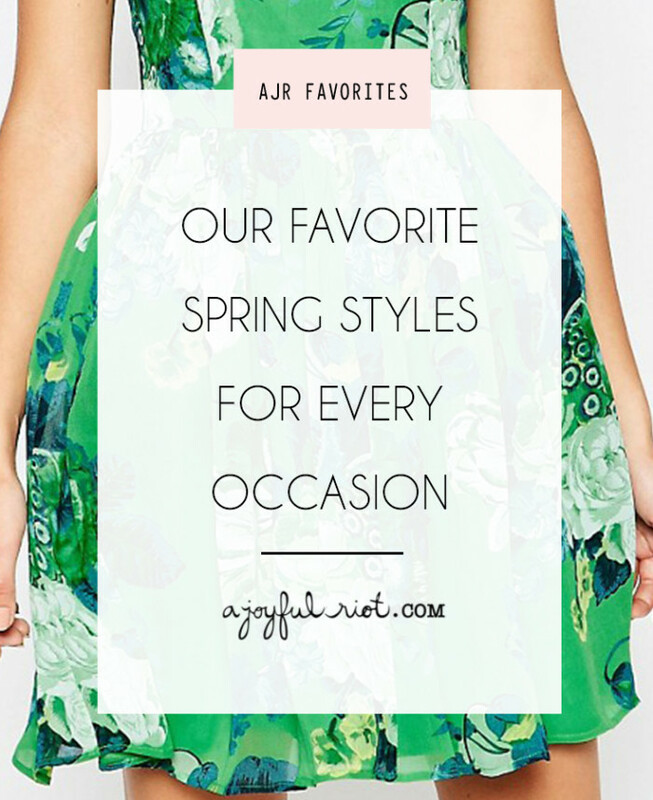 Click through for 16 other fab styles! 2. Rad Swim Gina swimsuit ($84) – Even if you don’t have the opportunity to wear this until later in the season, now is the time to start buying your cute new swimwear and we are obsessed with everything at Rad Swim! Also, this gorgeous model is our good friend (since childhood) Lara, plus the swimwear line is run by our other good friend Michelle (but we would recommend these suits even if we didn’t know these beautiful girls). 3. 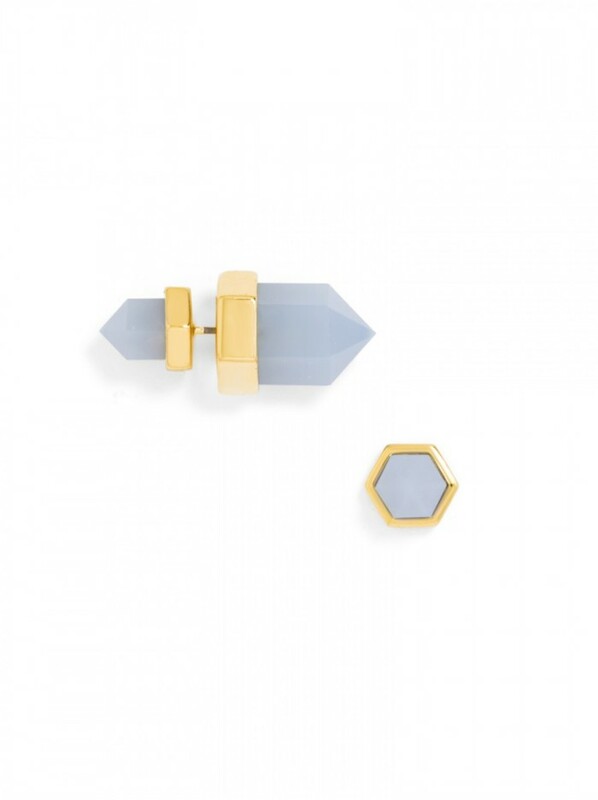 Baublebar studs ($28) – these are so gorgeous! 4. 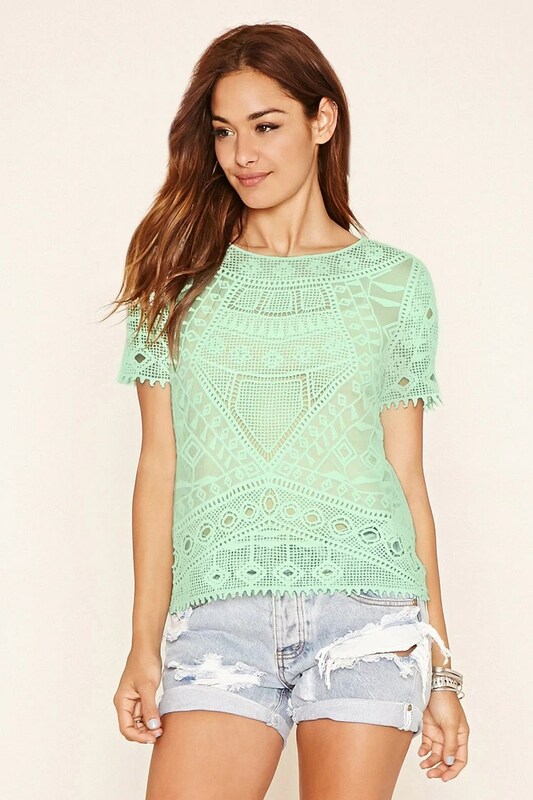 Forever21 Lace Mint Top ($22.99) – ask anyone and they will tell you I am a complete sucker for anything mint or lace so the two combined makes for my ideal top! 5. 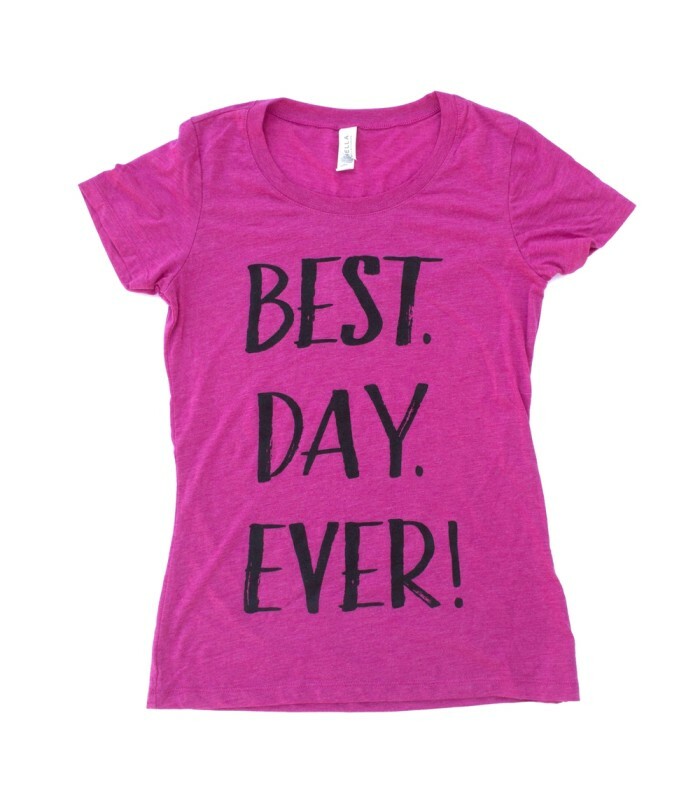 Happily Hezface Best Day ever tee ($19) – we adore this fun graphic top that is a friendly reminder that every day can be the best day ever! Designed by our dear, dear friend Heather! 6. ASOS Soft Skater Dress in Green Bouquet Floral (SALE! $33)- I saw Elsie from A Beautiful Mess wearing this on Instagram not too long ago and fell madly in love. Could I also have this as wallpaper please?? 7. Floral Jersey Dress (SALE! $19.99) – the long sleeves are perfect for those days that aren’t quite short-sleeve-friendly yet! 8. 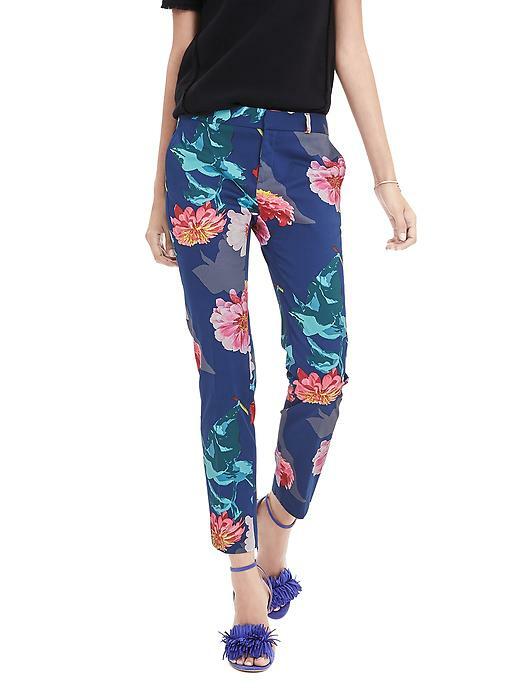 Banana Republic Floral Crop Pants (SALE! $79.99) – I honestly think these would work in the office and for Saturday brunch. 9. 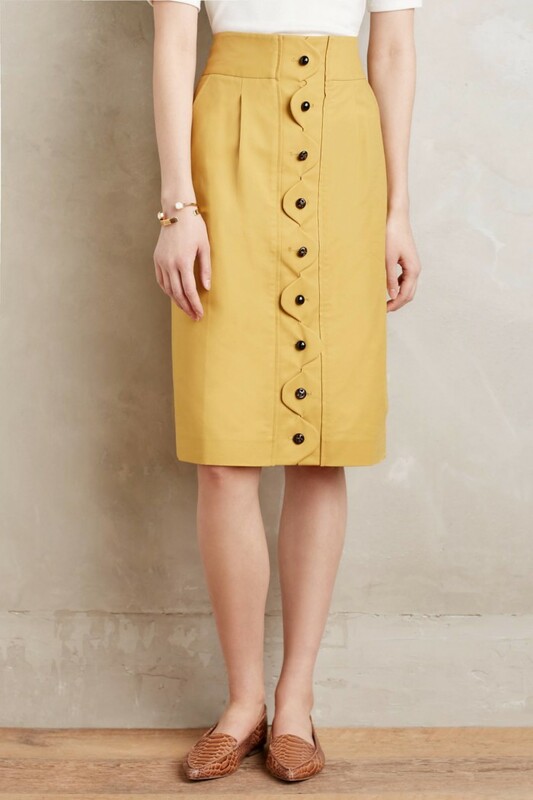 Anthropologie Ada Button Front Skirt (SALE! 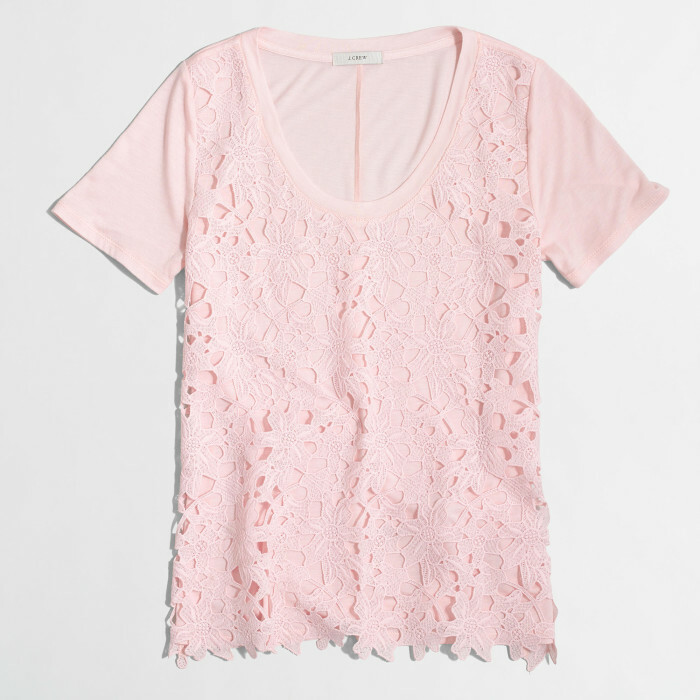 $69.95) – pair this with a floral top for the perfect Spring outfit. 10. Shabby Apple Ella Sheath Dress ($76) – stripes are a must for any season. 11. 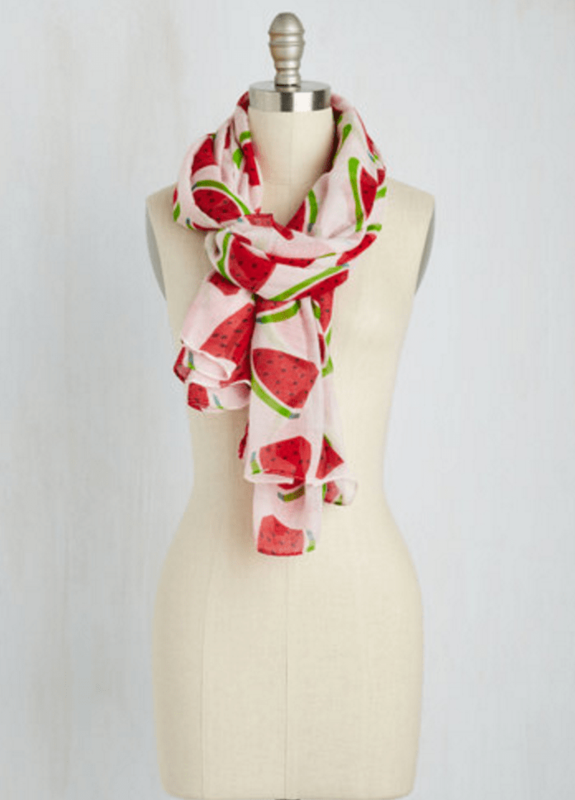 ModCloth Watermelon Scarf ($14.99) – Scarves are a must, especially for the transition time between now and when it really starts to get warm! 12. 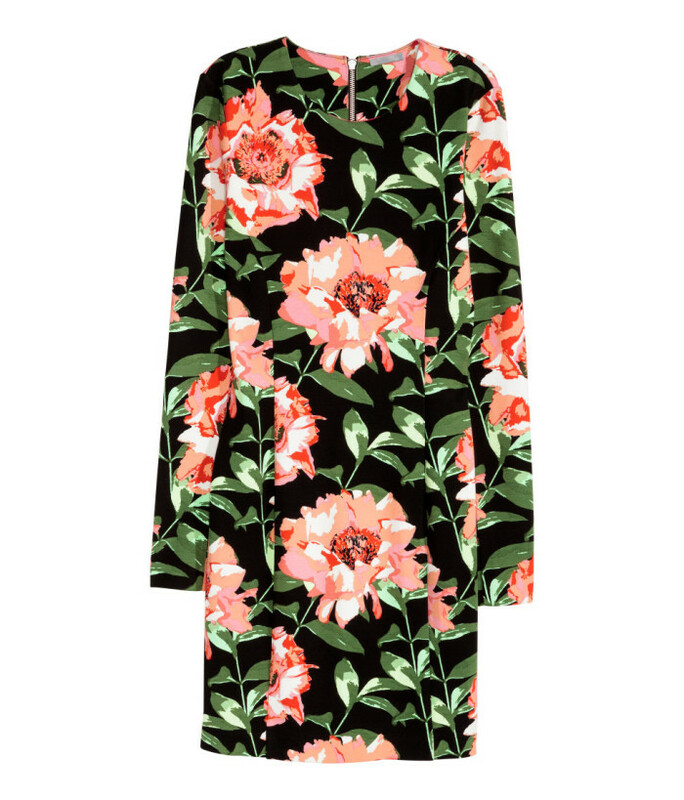 ASOS floral dress ($86) – if you need something a little nicer this season, this dress is perfect for work, fancy parties, church, etc. 13. Off-the-Shoulder Blouse in Rose ($54) – Can I (Machelle) just say how absolutely thrilled I am that off the shoulder tops are fashionable this year? Since I know I’ll be gaining some pregnancy weight and arms are one of my least favorite spots, I love that these tops have longer sleeves to cover the problem area, but still feel light and airy. 14. Lawn Party Floral Fit N’ Flare Dress ($42) – I can’t really imagine a summer party (shower, birthday, bachelorette, luncheon, brunch) that this wouldn’t be perfect for. 15. 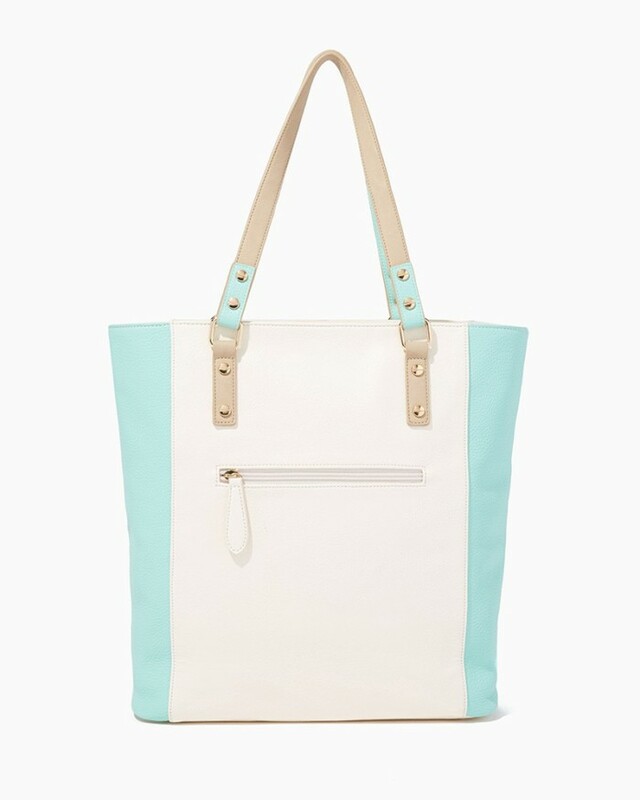 Lexington Colorblock Tote (SALE! $23) – These colors are so fresh and springy, this bag would go with almost anything! 16. Mackenzie Floral Romper ($50) – Couldn’t let this list slip by without a romper and the colors on these florals are just perfect. 17. Vintage Floral Maxi Skirt ($38.50) – Love the deeper colors on this skirt and the long length, making it perfect for chillier spring days.